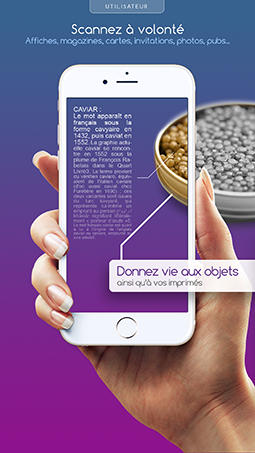 KaviAR: Augmented Reality Software Online. Do it yourself. 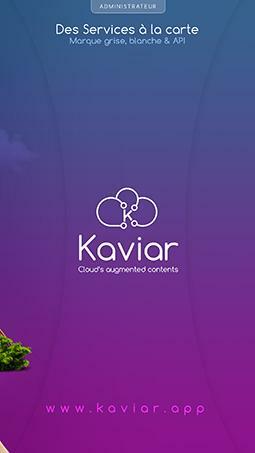 KaviAR is an Augmented Reality Online software associated with a free mobile application that displays the digital contents of its choice on a real medium. 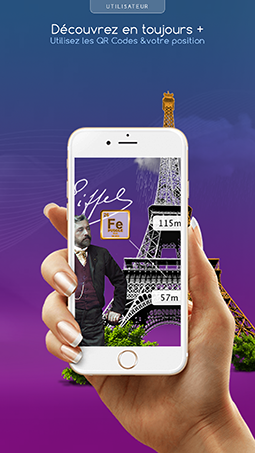 Make Augmented Reality yourself online. 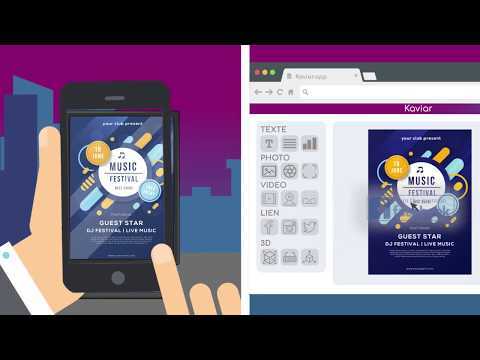 Kaviar is above all "full online", users can test for free, increase one or more content, for this it is sufficient to create an online account, it is simple fast and effective. We placed ourselves in a user logic and not an expert logic. "I do not know anything about augmented reality, but I want to start." Everyone has their own reasons to explore the RA, the uses are so numerous that we can not predict them, it is up to the user to appropriate the technology and associate it with his needs. In this KaviAR is really part of a lean startup method. We first studied the market and the potential, then we created an MVP and a landing page to test the model, the craze was immediate. KaviAR is for everyone, individuals and agencies, it's a real difference. 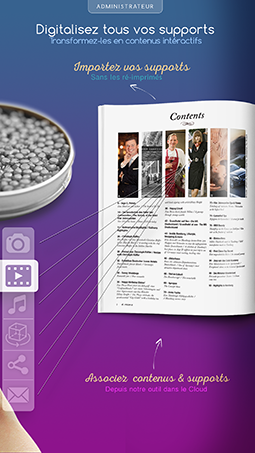 The generalization of augmented contents is the generalization of usage. 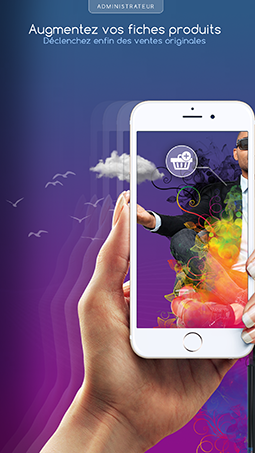 For content to multiply, it is necessary to disrupt the market by giving power to users. We address individuals and businesses, from B to C to B to B through B to B to C. Our customers are in the world of tourism, the press, communication, industry, education, culture, the environment or even escape game organizers. 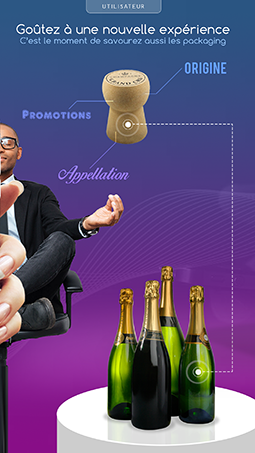 For associations, we offer 50% discount regardless of the type of subscription. We also invite the student offices of all business schools or engineering to contact us because we can make a package available to them for free. We have a reseller program, business provider and sponsorship. 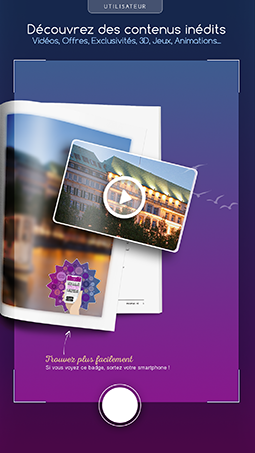 Moreover we offer 10% additional to the readers of this article with the promo code APPVIZER. We decided to put in place nominative reduction codes for specifiers who will be able to become an online business provider. If someone creates an account from a prescribing code, the latter receives a commission throughout the subscription period. 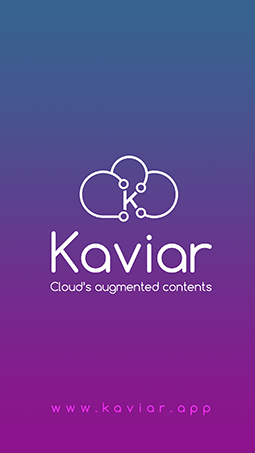 But above all Kaviar does not ask for setup fees or minimum commitment time, it's a free and unconstrained subscription. Everything is clearly stated on the site, and once registered the users can select the necessary options that will be useful to them. 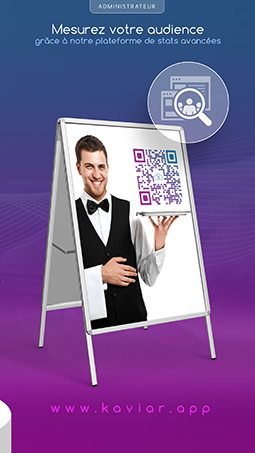 Digitize your communication on the go and from the cloud! We have not even talked about our part API / SDK that arrives very quickly, white mark, gray mark ... Everyone will find his account. GOOD TO KNOW: We donate 5% of our profits to associative or ecological organizations. Fitnet Manager, Everwin CXM, Planilog, ContentKing, Humanagement Inc.